Product #46025 | SKU MEMWSFF05BD3 | 0.0 (no ratings yet) Thanks for your rating! 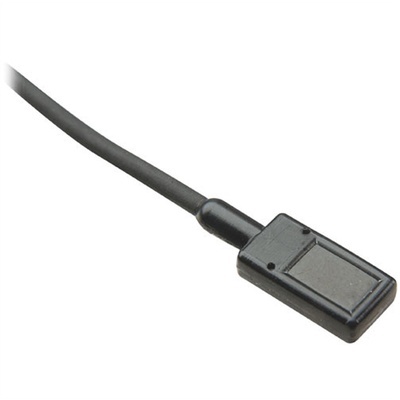 The black EMW Omnidirectional Lavalier Microphone for Digital Recorders from Countryman features a 3.5mm connector wired for use with a variety of digital recorders. Its capsule is designed to produce low rubbing noise when clipped to your shirt while providing a uniform omnidirectional pattern over a broad range of frequencies. The mic is tuned with a 6dB boost between 2 and 15kHz to provide clarity for vocals. The EMW has a Kevlar cable and a moisture resistant design that allows it to be used near water or in intense weather. It can be used as a mic for digital recorders for film or broadcast production. Box Dimensions (LxWxH) 9.2 x 5.1 x 1.5"